i've decided to, instead of making groups of icons following a similar theme, try to create icons that encompass what the actual program conveys. Some do like a themed look, but I like the icon based on the original program itself also, maybe with a small added touch in certain instances. Nice work by the way. jairo used to do things in 'themes' but doesnt anymore. i guess it's just progressing to a different way to do things. jairo seems to -really- look into the original icon of a program and do something cool with it. 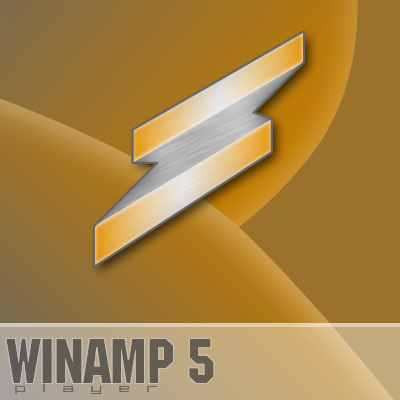 (his new winamp one) is sorta inspirational, in a general way. adding the cd in to it was really creative. he's been able to do this well with every icon except itunes (and maybe firefox...) because apple's icons represent just that, what the actual program conveys. he even said himself that outdoing the original itunes icon would be impossible. so yeah, no more of my icons will look like most of my older ones have. vector-y, etc.